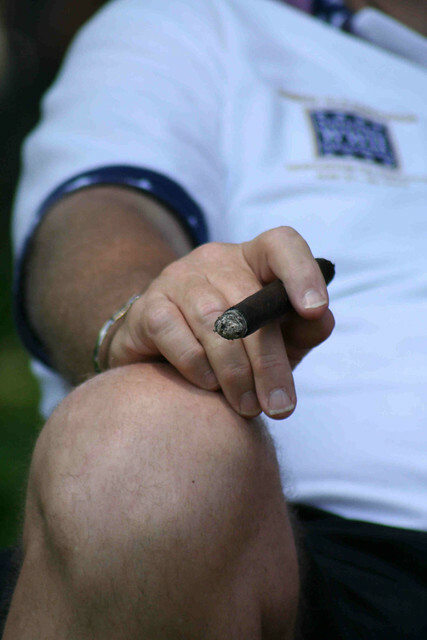 There is something about cigar smoking that shouts machismo all over it. We are not talking about the more serious side of being “macho” which is associated with the violence done by men on women. Rather, we would focus on the lighter side of men’s efforts towards achieving a more manly image. It is not clear when cigar smoking became identified with machismo considering that a review in history will show that women have also been doing their share of cigar smoking. This belief that a man looks manlier with a cigar permanently stuck in his mouth or hand may have been brought upon by the glamour of movies. Dashing leading men used to puff their way into their leading ladies’ hearts with nary a skip in mouthing love dialogues. Aside from leading actors on movies, there were also presidents and other world leaders proudly displaying their cigars. Whether this made them think any clearer is unknown, what is known is that they have become identified with it. Who can really blame ordinary men from taking up cigar smoking when most who do it seems to be successful and desirable? No real man cries, at least that’s what most men say. It must be pretty exhausting to be doing this especially since men are also human. This was especially true during early times when men were expected to take it all in without showing any sign of emotion. Fortunately, this belief is gradually starting to relax. Someone said that a true man can court danger without fear although it is not known whether the one who said this lived long enough to tell the truth of his story. Courage and recklessness are two entirely different things. Participation in extreme sports may be considered courageous in a way but doing so for the sake of show and doing it in a reckless manner is not manly at all. More boyish, maybe. This is actually so 50s but there are still remnants of the male specie who believe that doing domestic work is only found in the domain of women. Their idea of a macho man is someone who is waited on by his wife. Many men have realized that their stronger physical built was given for another reason which is to help around the house.